Prime Minister of India, Narendra Modi is now the third most followed world leader on Twitter after overtaking Indonesian President S B Yudhoyono today. 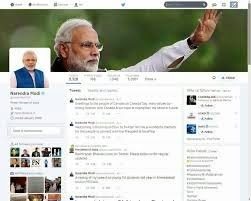 Modi (https://twitter.com/narendramodi) has around 5,087,980 followers to Yodoyono’s- 5,08743 followers (https://twitter.com/SBYudhoyono) as of 1pm IST today. Only the President of the United States Barack Obama and the Pope have more followers on Twitter. This shows how Mr Modi has been actively using Twitter to connect with the masses reinforcing the tool of digital diplomacy in a larger context making the social media platform a powerful channel for communicating and engaging with all Indians across the country. There were nearly 60 million elections-related Tweets during the Lok Sabha elections this year. Narendra Modi was the top elections-related term on Twitter during the entire polling period, more than AAP and INC combined. On Counting Day itself, Narendra Modi and BJP accounted for over half of the 2 million elections-related Tweets. His Twitter account (@narendramodi) has grown by more than 1 million followers since his election win, while the official account of the Prime Minister’s office (@PMOIndia) has grown more than 40% since his swearing-in ceremony. , His election victory Tweet remains the most retweeted Tweet of all time from India. 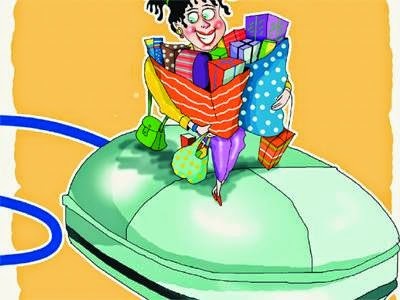 Idea Cellular, India’s 3rd-largest mobile operator and Opera Software have joined hands with Quikr, India's largest online mobile classifieds portal to offer sponsored mobile data through Sponsored Web Passes for over 137 million Idea customers in India. The tri-partnership is aimed at enabling more Indians to get online and experience the power of the internet on their mobile phones, the first such initiative in South Asia. A web pass is a great alternative to monthly data plans for consumers who do not require full-time internet access. Opera partnered with Idea earlier this year to bring this innovative solution to Opera Mini users in India. This solution provides affordable internet packages, tailor-made to enable Idea subscribers to enjoy internet access for particular timelines or websites, such as Facebook access for a day or internet access for an hour at just Re. 1. Web passes allow transparent, self-explanatory transactions, along with affordable and controllable pay-as-you-go features. 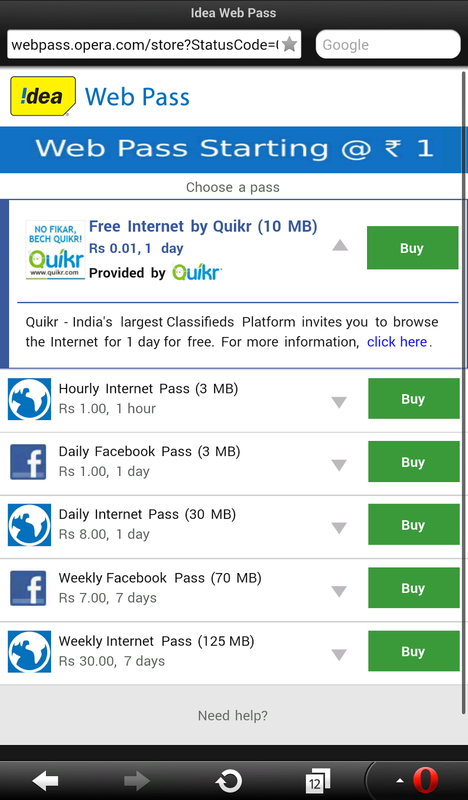 With Sponsored Web Pass, Idea subscribers will enjoy internet on their mobile phones, sponsored by Quikr. 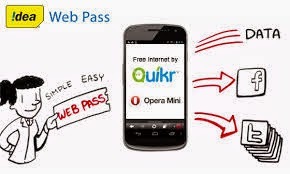 To get sponsored web access, Idea users just need to open Opera Mini and click the “Idea Web Pass” Speed Dial entry, then select the “Free Internet by Quikr (10 MB)” web pass option. From there, users will be able to enjoy 10 MB of sponsored internet access on their mobile phones for an entire day. Sunil Kamath, Vice President for South Asia at Opera Software, says, “At Opera, we are always looking for new ways to break the barriers for internet access and ensure that more and more people get connected to the web. In line with that, we are extremely happy to deploy our first-ever Sponsored Web Pass in South Asia, with Idea and Quikr. To start e-filing of the taxes, all one needs to do is click on the ‘Income Tax’ tab on Paytm. 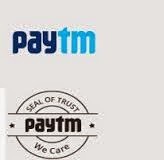 After signing in on the Paytm account, one can choose to either upload a soft copy of the Form 16 or go through the simple step-by-step guide for filling the form. Both processes are simple and super fast. Additionally, one can also solicit the services of a Chartered Account for a nominal fee. 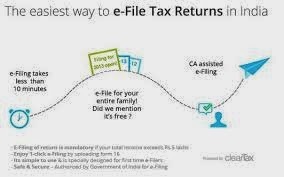 For Paytm users, the process of filing Tax Returns is truly not taxing anymore. All they need to do is log on through their Paytm account to simplify the daunting task of filing mandatory IT returns! HP has unveiled its latest range of consumer notebook and touch convertible PCs, and a variety of colourful accessories delivering new eye-catching options for consumers in India to express their unique style and personality. 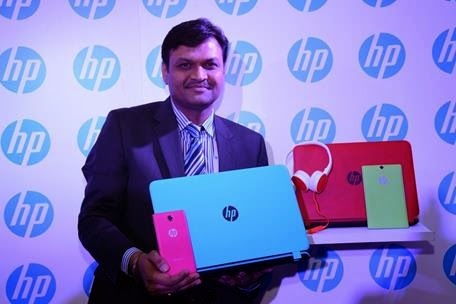 The new HP Pavilion Notebook Series, HP Pavilion x360, HP Pavilion 23 All-in-One and the HP ENVY 15 Notebook PC were showcased today at the HP APJ Media Summit 2014 in Mumbai. The new HP Pavilion Notebook Series provides all the benefits of a desktop PC in a sleek, colourful package. The devices feature a fashionable uni-body design that allows for less flex and stress on the device. The thin and light notebook PCs are designed for users who want a combination of high performance and stylish design. The new range comes in a variety of colours including Natural Silver, Snow White, Aqua Blue and Vibrant Red. With Beats Audio and dual speakers, the HP Pavilion Notebook series delivers the best-sounding, richest audio on a PC. The notebooks also deliver the speed required for day-to-day work with industry-leading processors. The new HP Pavilion Notebooks are now available for Rs 39,990. Designed for productivity and entertainment, the HP Pavilion x360 is a touch convertible PC featuring a 360-degree hinge that enables users to easily convert from notebook to a stand, tent or tablet mode. Music lovers will enjoy its powerful entertainment performance featuring built-in Beats Audio, dual speakers designed for great sound in any position, and an optimized touch screen. The HP Pavilion x360 is a Windows 8 device featuring an 11.6-inch LED antiglare widescreen, Pentium Quad Core Bay-Trail processor and 4 GB of RAM and a 500 GB hard disk drive. The HP Pavilion x360 is priced at Rs 39,990 and is currently available in the Indian market. The HP ENVY 15 Notebook PC is a powerful device, optimized for the ultimate Windows 8.1 touch experience, with a Full HD touchscreen display. Featuring the HP Control Zone trackpad optimized for Windows 8, the new HP ENVY Notebook allows easy navigation for the most comfortable user experience. The new HP ENVY Notebook also enables extra enjoyment with up to 1.5TB of additional storage for more music, videos, and photos. Dual speakers and a subwoofer deliver a premium Beats Audio experience. The HP Envy 15 will be available in India from July20 starting from Rs 62,990. HP Pavilion 23 All-in-One Desktop – HP Pavilion 23 AiO Desktop is designed for entertainment and is easy to set-up. With a high-definition touchscreen and webcam, the compact desktop is ideal for movie viewing and web chatting. The 23-inch all-in-one has an intuitive touch technology and makes it a complete entertainment device to listen to your favourite music and play your favourite games. The desktop with a slim and trendy design will be available in the market from July 20 for Rs 67,990. HP unveiled a variety of fun and stylish accessories including speakers, headphones and headsets to match its new colourful Notebook PC range. The impressively compact palm-sized USB and Bluetooth enabled speakers are technically engineered to deliver optimal sound quality. The colourful HP Headset range allows you to listen, game and chat with amazing sound clarity. The speaker range starts from Rs 1,200 while the HP headphones and headsets range starts from 1,900 The wireless speakers and headphones will be available in Indian market from August 7, 2014. Extending colour even further to the HP Slate and HP Slate VoiceTabs, five new coloured back covers have also been released. The back covers come in pink, purple, green, blue and white and will be available in the Indian market from August 10, 2014 for Rs 1,199. In concordance with its vision of empowering the creative community, Adobe organized a Photography Symposium to enable hobbyists and professional photographers enhance their skills, get inspired by transcendent creations and learn about ways to boost their photography brand and business. The Symposium that was open to all connoisseur of photography, witnessed a healthy participation from over 350 individuals. During the symposium, celebrated professionals including Sudhir Shivaram (Wildlife Photographer), Naina Redhu (Luxury & Lifestyle Photographer), Neeta Shankar (Wedding Photographers), Swapnil Rane (Creative Head- Films Division, Marching Ants Pvt Ltd) and Jayanth Sharma (Natural History Photographer and Co-founder of Toehold Travel & Photography) among others, led a number of specially tailored sessions for photographers. In addition to sharing insights on their professional journey, these specialists covered many aspects of the changing landscape in professional photography like balancing between shoots and how to become a pro photographer. Neeta Shankar, Wedding & Lifestyle Photographer shared her experiences and aspects of photography beyond shooting. She highlighted how critical it is to engage with clients prior to the shoot to understand their culture and customs and setting the right expectations in terms of the work. These soft chords play a large role in capturing the intimate moments and emotions. Jayanth Sharma, Natural History Photographer & Co-founder Toehold Travel & Photography Pvt. Ltd. spoke about the need to recognize business potentials in the photography space. He gave examples to commercialize photography in the form of workshops, tours, photo vacations for honeymooners, to name a few. The 4 pillars of photography – subject matter knowledge, core concepts of photography, equipment and shooting techniques, digital post processing, were taken up in detail by Sudhir Shivaram, the well-known Wildlife Photographer. Naina Redhu a Luxury & Lifestyle Photographer & Brand Storyteller believes that showcasing your work to the world is of paramount importance in photography. She advised all participants to keep an open mind and click everything in the dawn of their career and subsequently decide their genre. 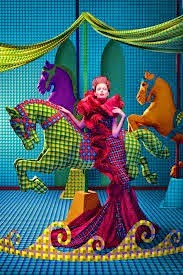 Adobe has always been dedicated to help the photography community enhance their creative work. 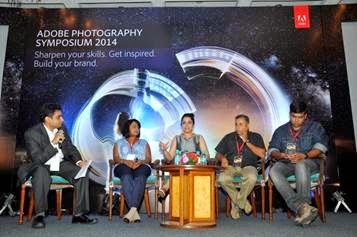 The Adobe Photography Symposium is a part of the endeavor to work as a partner of the creative community. Recently Adobe announced the availability of the new Adobe Creative Cloud Photography plan. Designed for anyone interested in photography, the new plan brings together –- for Rs. 499 per month -- Photoshop CC and Lightroom 5, two tools that have fundamentally impacted how photographs and imagery shape our visual culture, as well as Lightroom’s breakthrough mobile apps on iPad and now iPhone. 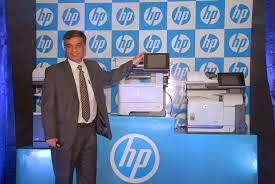 HP has unveiled a new Managed Print Services (MPS) service delivery mechanism that will enhance the experience of HP’s MPS customers. 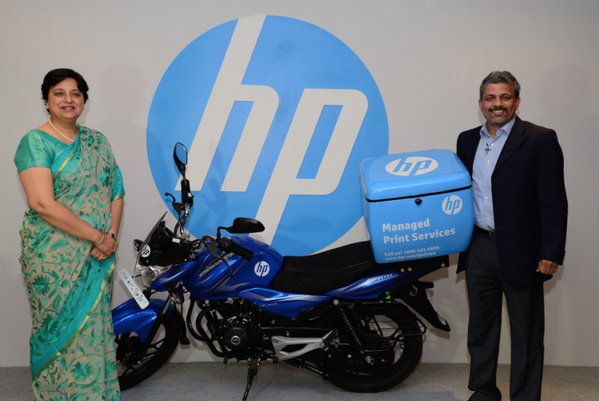 Under the new service, authorized HP technicians will use HP’s MPS motorbike fleet to carry optimized parts and supplies inventory, allowing them to pre-empt maintenance and address multiple issues in a single visit. To reduce down time, the HP technicians will also be assigned customers who are closest to them. The new service will value add to all customers of HP Managed Print Services, including customers of channel partners under the HP Managed Print Specialist program. HP also launched a new tool – the HP Express Decision Portal – for channel partners who are part of the HP Managed Print Specialist program. The HP Managed Print Specialist program has allowed channel partners to capture new business opportunities in Managed Print Services (MPS). This structured program offers a suite of tools and resources that allows partners to focus on the MPS sales process and customer relationships, without needing to make a substantial investment in new infrastructure. The HP Express Decision Portal will add to this suite of tools for channel partners. This cloud-based application comes with pricing, business proposal and opportunity management features, making it simpler and faster for partners to capture MPS business opportunities. Lowe’s Companies, Inc. announced today that Narayan Ram will join the Company as Managing Director for India, where he will be responsible for overall strategy and operations. He will report to Lowe’s Chief Financial Officer Robert F. Hull. Ram joins Lowe’s from Sony, where he served most recently as head of Sony’s Global Delivery Center for IT and Processes in India. He brings more than 24 years of experience in Information Technology (IT) and Information Technology Enabled Services (ITES) to Lowe’s. He will lead the new Lowe’s Customer Support Center in Bangalore (Lowe’s Services India Private Limited), established to expand the Company’s analytics and technology functions in an area with critical access to a rich talent base. In his new role, Ram will build a highly collaborative team to support data-driven analytical and technical functions. He will work with partners across the global organization to apply the power of analytics and technology to the Lowe’s business to ensure customers can engage with Lowe’s whenever and however they need support and inspiration for home improvement projects. 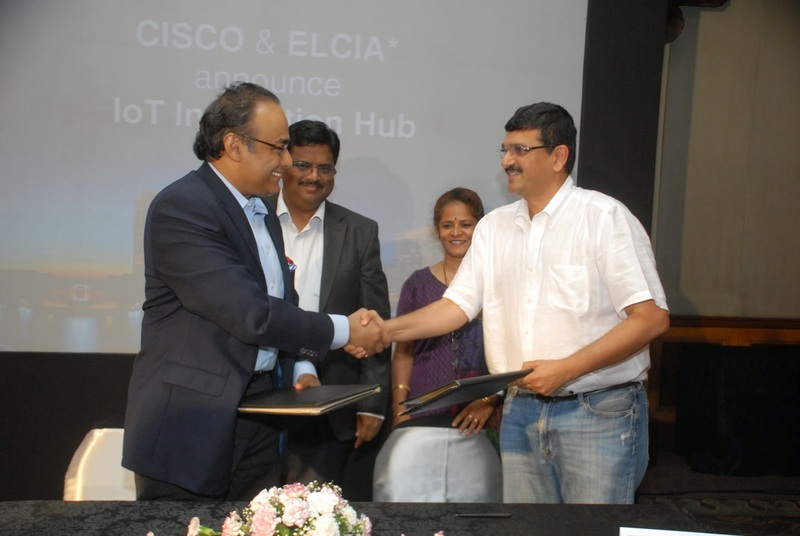 Cisco today announced a strategic engagement with Electronics City Industries Association (ELCIA) to develop Asia’s first end-to-end ‘Internet of Things (IoT) Innovation Hub’ in Bangalore. Riding on India’s fast growing Internet penetration, this collaboration will help establish the foundation for a new ecosystem to help Electronic System Design & Manufacturing (ESDM) companies and other companies of electronic city engaged in IoT product development. ELCIA has been chosen for this ambitious project as it is the only brown field ESDM cluster in the country, which has received an in principal approval for a financial grant from the Government of India to spur innovation in product design and manufacturing. According to a Task Force report commissioned by the Department of Electronics and Information Technology (DeitY), the demand for electronics hardware in the country is projected to increase to $400 billion by 2020 and this initiative will help address domestic demand, allowing local manufacturers to capture this growing market opportunity and save precious foreign exchange for India. As part of this effort, Cisco will help provide the network infrastructure and expertise for testing and production of electronic product prototypes for an IoT enabled smart city environment. Through the ‘Living Lab’, ESDM start-ups and other electronic city companies can build solutions for City Infrastructure Management (CIM) including Smart Parking, Smart CCTV Surveillance, Smart Street Lighting, Smart Water Management/Leak Detection and Community Messaging. The project will utilize the Cisco Smart+Connected City WiFi solution that will help enable community WiFi services and allow access to public utility offerings. ELCIA will also embed Cisco network equipment comprising of access points, routers, switches, and other required hardware and software applications that will be connected to the smart city’s fibre-optic backbone network. The first phase of this smart city project will be rolled out in Electronics City and will serve as a replicable model for the rest of Bangalore as well as other cities in India, across the region and other emerging markets. Participating companies would gain access to boot strap funding for their ventures under Cisco’s IoT Innovation Fund, provided there is a strong idea for new IoT product / application development with a commercially viable business case, as well as a chance to participate in the global Cisco IoT Challenge. This project is being undertaken as part of the Cisco Smart+Connected Communities concept that places technology at the heart of economic development and better quality of life in modern cities. The focus is on using the network to deploy digitally enabled transportation, healthcare, education, utilities, energy grid and real estate in cities. Commenting on the project, Kiron Shah, Chairman Electronic City Industrial Township Authority (ELCITA) said, “ELCIA together with ESDM and other electronic city companies have an opportunity to utilize the support of the Cisco Smart+Connected Communities team and collaborate with them during the sensor devices / applications development, testing, prototype manufacturing and field deployment phases by using the IoT Innovation Hub and Living Lab that will be set up in partnership with Cisco Systems”. Expanding on the scope of this collaboration, Aruna Newton, President of ELCIA said, “This partnering with Cisco Systems will provide an opportunity for ELCIA along with ESDM and other electronic city companies to innovate and develop products and software applications that could be deployed in real world Smart City projects across India and emerging countries that could help optimize city infrastructure management functions. This project will also help ELCIA contribute towards the national objective to place India as a prominent member on the global electronic manufacturing and ESDM map. HP and Narayana Health, one of India’s leading healthcare providers, today announced they will work together to expand the number of HP Cloud–enabled eHealth Centres in India, to deliver quality, affordable healthcare services to more people living in the country’s resource-deprived locations. eHealth Centres are rapidly deployable healthcare facilities, powered by HP’s cloud-enabled solution. They are built to connect patients in remote areas, who couldn’t previously afford or access healthcare, to receive remote consultations and diagnoses from physicians and specialists. Housed in shipping containers or existing facilities, each eHealth Centre is customized and fully equipped with cloud-integrated diagnostic equipment, HP Workstations and video conferencing. These technologies enable the collection, analysis and tracking of individual and communitywide data—such as disease patterns and risk factors—as well as regional-health profile monitoring to facilitate real-time disease surveillance. Narayana Health will serve as a healthcare partner in this initiative to implement, operate, run and manage newly established eHealth Centres for providing primary healthcare to patients, and addressing healthcare delivery and awareness challenges in Tier-2 and Tier-3 cities. This includes screening and primary healthcare and progress towards early detection, diagnosis and evidence-based preventive healthcare. Additionally, HP and NH will launch three new “health hub” support centres to serve the eHealth Centre network, providing a facility where staff can get support on technical and medical issues related to operations, and explore the addition of other healthcare services that improve the healthcare experience for patients and providers. 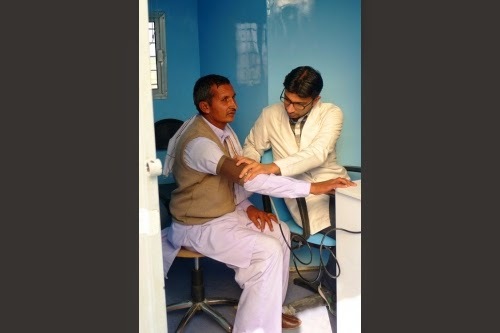 The first eHealth Centre was established in 2012 in Chausala, India, (Kaithal district, Haryana), and recorded more than 4,000 patient visits in the first 100 days of operation. The solution was designed by HP Technology Services in India and leverages best-of-breed technologies, including open-source solutions. There are currently six eHealth Centres operating in India, which collectively have recorded more than 36,000 patient visits as of June 2014. The catchment area for existing ehealth Centers represents approximately 2 million people. technology solutions to improve access to primary healthcare in underserved areas. In Bhutan, HP collaborated with the Asian Development Bank (ADB) and the Royal Government of Bhutan to pilot the eHC program in to the country in a basic health unit facility under Ministry of Health. And in the Philippines, HP is partnering with the Philippines Disaster Recovery Fund (PDRF) to bring two eHealth Centres to the Tacloban and Eastern Visayas areas in August, as part of ongoing disaster recovery and reconstruction efforts following 2013 typhoon Haiyan. 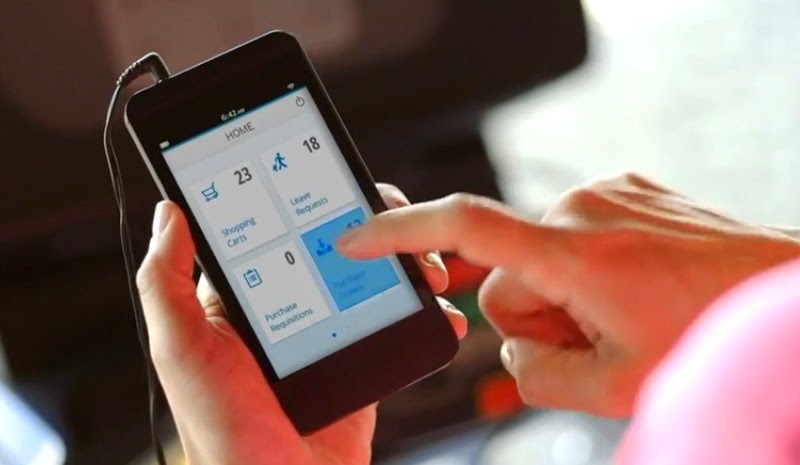 SAP AG has announced four new user experience (UX) rapid-deployment solutions that enable businesses to adopt the latest user UX innovations from SAP, including SAP Fiori and SAP Screen Personas software. These solutions are a simple and predictable way for users to take advantage of the next generation of user experience, which is now included with the underlying licenses of SAP software. * To accelerate the adoption of the latest user experience innovations by end users, the SAP Fiori apps rapid-deployment solution includes the implementation of SAP Gateway technology and one or more SAP Fiori apps for full production purposes. 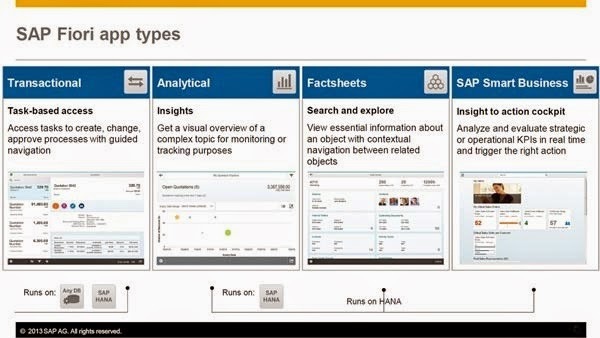 * The SAP Fiori Infrastructure rapid-deployment solution enables the quick deployment, configuration, and validation of the landscape components required for experiencing the full range of apps applying SAP Fiori UX made possible by SAP Business Suite powered by SAP HANA, including advanced analytical apps. * The SAPUI5 Design rapid-deployment solution includes a design thinking workshop, best practices for SAP Fiori UX and a proof-of-concept service to help businesses create their own apps. The SAP Screen Personas rapid-deployment solution enables users to improve, simplify and personalize key desktop-based SAP user experiences. These new rapid-deployment solutions also play a key role in the recently announced UX adoption services. SAP plans to enable its customers and partners through the openSAP platform in order to benefit from the latest user experience from SAP innovation. The openSAP platform hosts massive online open courses built for professionals, students and the general public free of charge. 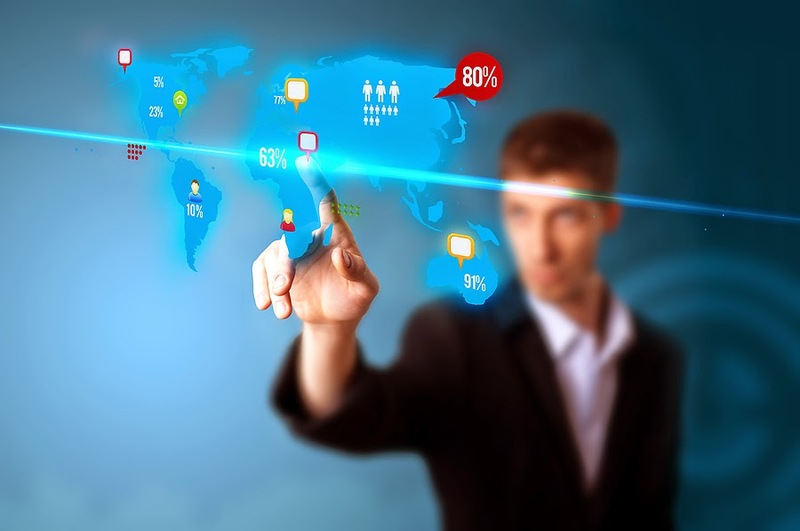 These courses, to be launched later this year, will focus on explaining the latest user experience innovations from SAP, the use cases of these innovations and how best to deploy them leveraging SAP Rapid Deployment solutions methodology. At least 50 per cent employees in India Inc are satisfied with their current pay package. 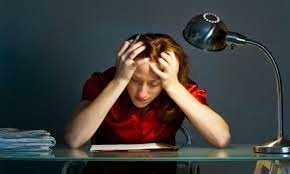 However they are not satisfied with their job, revealed a recent TimesJobs.com study. Nearly 52 per cent employees are reportedly not satisfied with their current working hours. Employees polled saying that they are working over 40 hours a week and it’s not something they like. What does job satisfaction mean to them? Work-life balance is what gives today’s workforce a sense of contentment from a job. About 44 per cent employees are contemplating job change in the next 6 months and nearly 60 per cent are seeking a better work-life balance from the new job. Ranked ahead of money, rewards and recognition, work-life balance is a key determiner for nearly 60 per cent Indian employees to jump ship for a job. Nearly 50 per cent men and 60 per cent of women employees base their job change decision on the level of work-life balance offered by their organisation. The need for flexible hours is greater among middle level employees. Over 40 per cent employees belonging to 5-10 years experience category ranked it higher than salary and other work factors. Small organisations are the first to notice the growing demand for workplace flexibility. Nearly 42 per cent of these organisations said they have a formal flexible work schedule policy in place. The bigger organisations are yet to embrace this change in employee expectations. Only 12 per cent organisations with employee size of over 1000 agree to flexible work options.